So many of you have enjoyed this family recipe from our dear friend Wendy. We like to use a variety of apples when we make it so that you bake with the best and get the best of all of the apples! We use apples from the local orchards in Hendersonville, NC, but you can use any good baking apples you have! 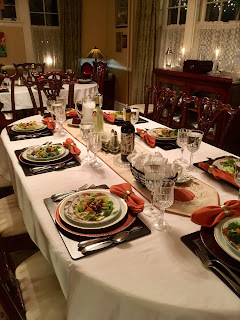 This recipe was shared with us by our very good friend, Wendy Langley. This is her mother’s Apple Cake, and it is a delicious addition to breakfast or as a nice warm snack. Western North Carolina is known for its apple orchards, and fresh picked apples make this a flavorful winner. There is nothing better than a recipe shared from mother to daughter. Thank you to Wendy for sharing it with us too. A guaranteed sweet and special treat for your loved ones. Preheat oven to 375 degrees. Spray or oil the baking dish. In a large mixing bowl beat together eggs, sugar, oil, and vanilla. Sift together flour, salt, baking soda, and cinnamon. Mix into egg mixture. Mix well. Gently fold in apple slices and chopped nuts. On September 30th we will be celebrating our 4 year anniversary of being Innkeepers at Abbington Green. 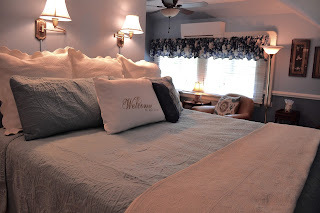 As the years have gone by, we’ve noticed that several items at the Inn are asked about by our guests on a weekly basis so I thought I would highlight them for you here in my blog. 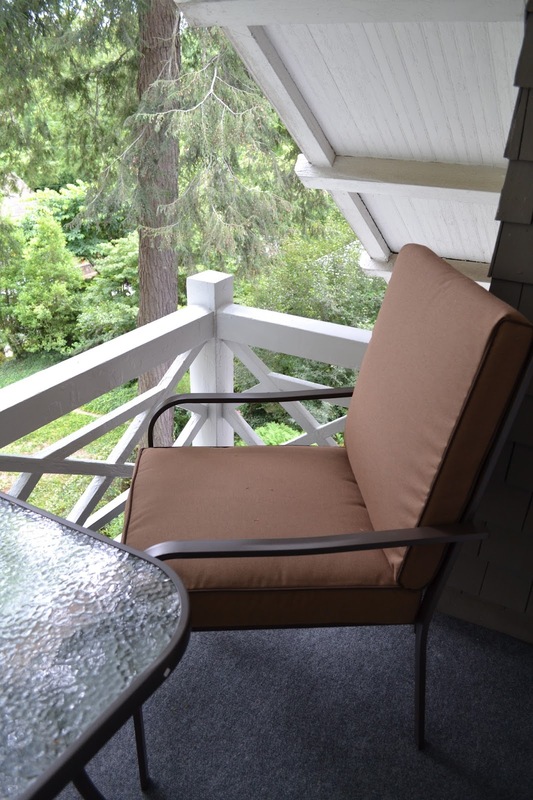 Let’s start our tour on the front and back porches, with the beautiful sounding wind chimes. 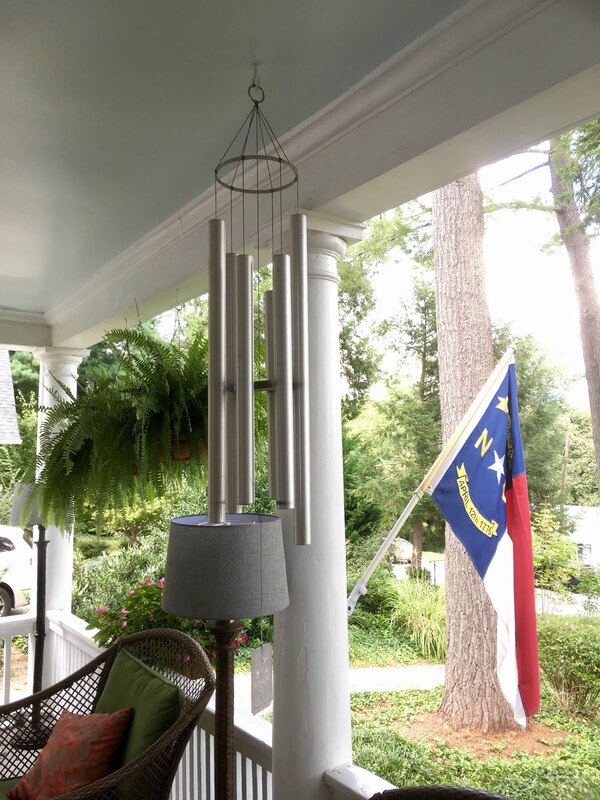 The chimes on the front porch were given to us as a gift for our 50th birthdays from great friends who live in Virginia. They are from a company called gracenotes.com and are in the key of F Major 9 and are the XL size. If you go on their website, you can listen to the different wind chimes they have to offer. I’m happy to say that I’ve heard of a few guests that have purchased them! We now list the information about the chimes on our website because of the weekly questions about where to buy them. 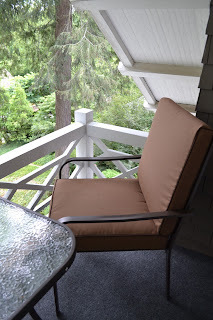 We loved them so much that I bought another set for the back porch at the Inn. They really do sound amazing! On one particular morning, a guest on the front porch asked me where the church was that was playing the beautiful sound. After thinking for a few minutes, I realized that she was actually hearing the chimes and thought it was church bells nearby. When you enter the front door there is a beautiful Mezuzah that was given to me by a previous guest, who is now a friend. Cheryl and Richard came for their first visit in 2015. As some of you know, we decorate outside and inside for the Christmas holidays with over 20 trees, tons of lights, and a 4 foot tall lit menorah. During Social Hour on the evening that we decorated the outside of the Inn, Cheryl and Richard happened to be staying with us. She asked if she could say the Hebrew Blessing over the Menorah. We were so happy to oblige and invited the other guests to join. We all went on the front porch for the blessing. 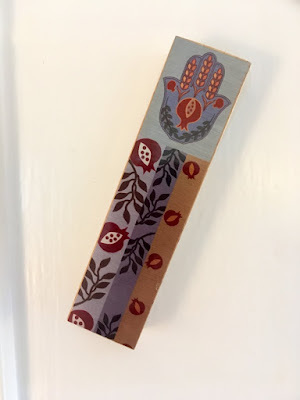 About a month later, Cheryl called to tell me that she had found the most beautiful Mezuzah and she wanted to buy it for me to put up at the Inn. Coincidentally, the day it arrived, we had a Rabbinical student staying at the Inn who helped us put it up at the front door complete with the Hebrew Blessing. On a weekly basis guests ask about this beautiful Mezuzah since it’s obvious that I’m Greek. We also have had the Greek Orthodox Priest blessed the Inn when we arrived and the Rabbis blessed it with our Mezuzah. 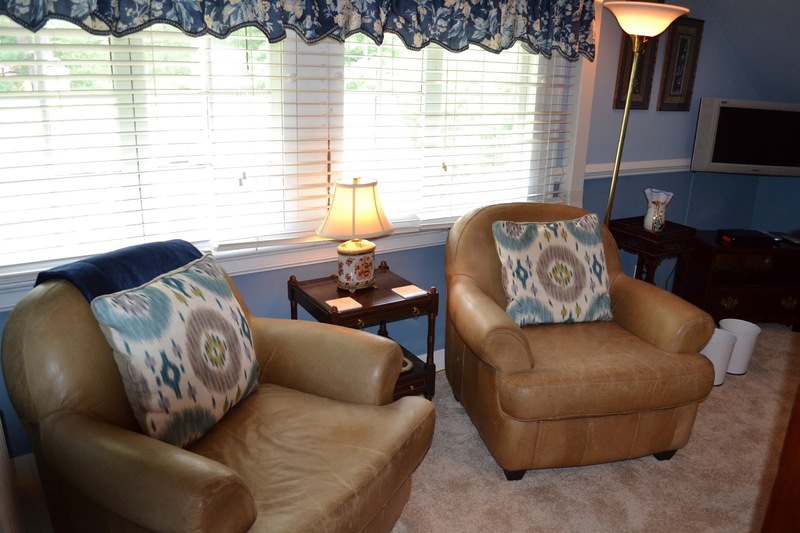 We want everyone to feel welcome here at Abbington Green. 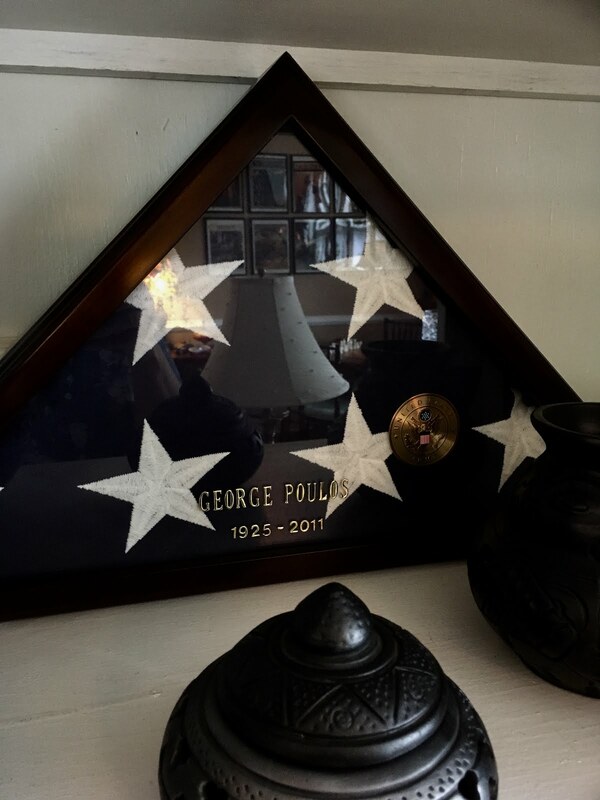 In the living room, proudly displayed on a shelf, is my parents’ wedding photo and on the next shelf down is a glass case with my Dad’s military flag from his funeral and the inscription: George Poulos 1925-2011. My Dad was in WWII as a paratrooper stationed in the Philippines. We grew up singing Army songs and hearing his Army stories. When he passed away in 2011 he had a military funeral with the 21 Gun Salute and I can never hear Taps again without getting tears in my eyes. My sisters knew as well as I did that one day I would own a Bed & Breakfast, and wanted to make sure that I had our Dad’s flag so it could be displayed at the Inn. I get so many questions from guests that have been in the Military about my Dad. Thank you to all the Veterans for serving our Country. 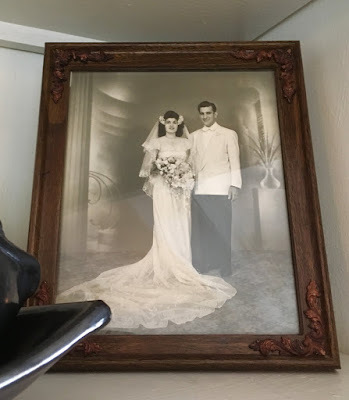 I mentioned my parents’ wedding photo above. My parents were married in the early 1950’s and I have a beautiful photo of my parents from their wedding day. My mom used to tell us stories about this picture. She was short and my Dad was tall, so they had her stand on a box so they would be closer in height for the photo. Numerous guests think it’s me in the photo. Yes, I do look a lot like my Dad. I take that as a compliment. I miss both my parents and I wish they could have seen my dream come true with Abbington Green. Also in the living room hangs two brightly colored paintings with poppies and sunflowers. The Artist is Vicci Waits from Savannah, Georgia. 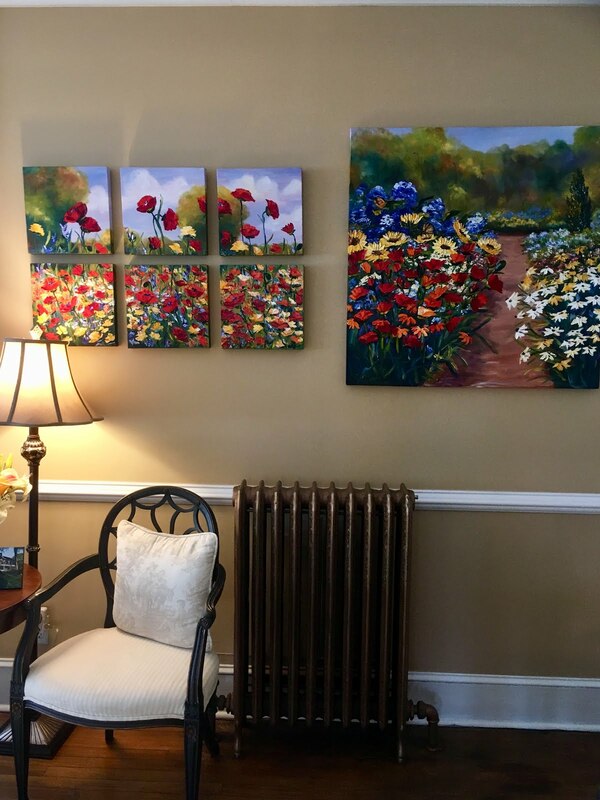 The paintings used to hang in our dining room in Florida, and are one of the first things guests see when they walk through the front door. The reason why I picked this location for them is the special meaning they have for me. When Vicci was painting the larger painting for me she added 2 monarch butterflies to represent my Mom and Dad that have passed away. We actually have tons of butterfly bushes at the Inn for this very reason, to attract the butterflies including the monarchs. Whenever we see them outside we say “Hi Mom! Hi Dad!”. September 14th was my birthday and sure enough, 2 monarch butterflies were out there to wish me a happy birthday! Another focal point in the living room is my 1950’s Baldwin Baby Grand Butterfly Piano. 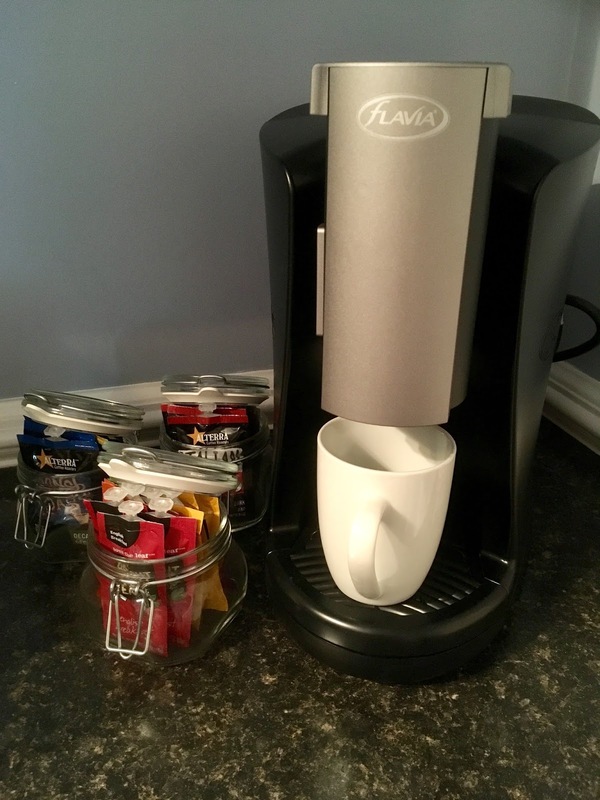 It’s unique in that it opens like a car hood and that’s part of the reason why guests ask about it all the time. 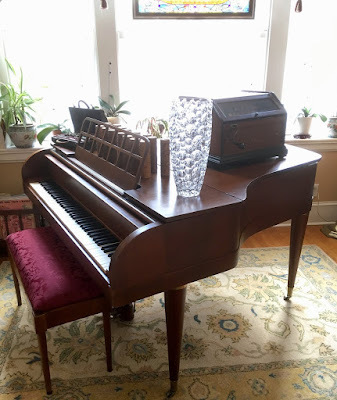 It has a unique tone and original ebony and ivory keys. It meant a lot to me growing up and has sweet memories of learning to play the piano. From what I have been told, only about 200 of this model were produced and it brings such joy to the room when guests play. I’m known to play in the afternoon when I have a free minute, but I’m still not that good. 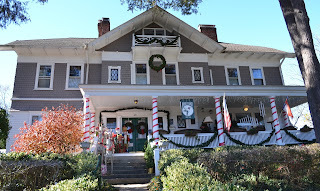 During the Holidays when we participated in the Montford Tour of Homes, a local musician plays my piano for hours entertaining everyone. On top of the piano sits our 1890’s Concert Roller Organ and the Cobs which are the music rolls. It sort of works and sounds like a harmonica but instead of blowing air in, it pushes the air out to make the sounds. The Cobs have metal pegs that when you crank the roller the organ sound is made. 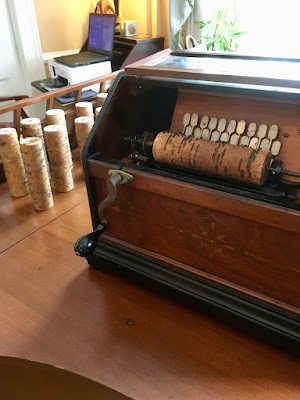 I purchased this Roller Organ from our Handyman Dennis and guests continue to be fascinated with how it looks, works, and sounds. In the Late 1800’s the Organ used to cost $7.60 and they were produced through the 1920’s. Thank you Dennis for adding such a wonderfully unique item to the Inn. In the dining room is an antique glass door cabinet that displays colorful enameled silver bowls, candy dishes, goblets, and decorative items. I’ve collected this for over 30 years. It was originally manufactured in Denmark in the 1950’s. In the late 50’s Towle and Reed & Barton started making pieces in the U.S. Many of the pieces have names and dates engraved on the bottom to commemorate weddings and special events. There was not a lot of this manufactured, so it keeps my collection small. 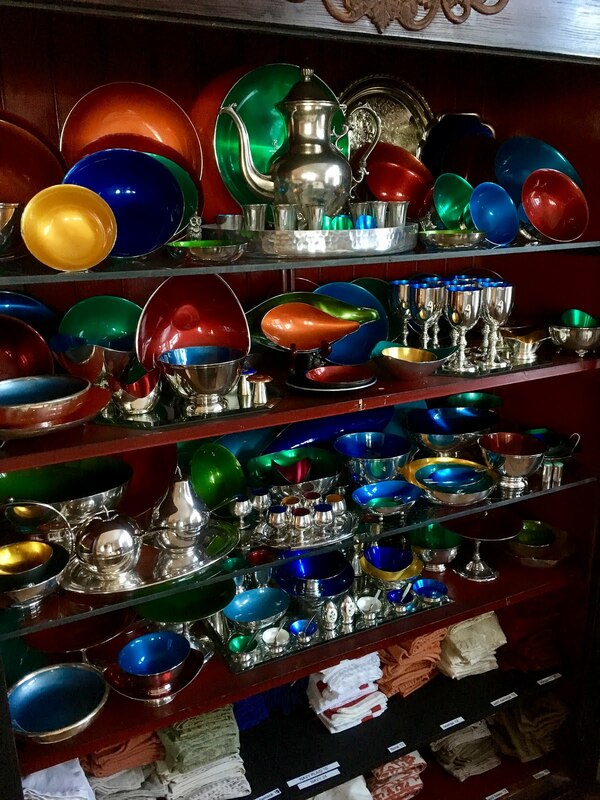 Several years ago, a repeat guest brought me 3 enameled silver bowls during her second visit. She was given them as wedding gifts and wanted them to be a part of my collection. We continue to cherish them as a part of our collection. The biggest conversation piece when guests peek in the kitchen is the lime green KitchenAid Mixer. You can’t miss it. We also have lime green cutting boards behind it that match. 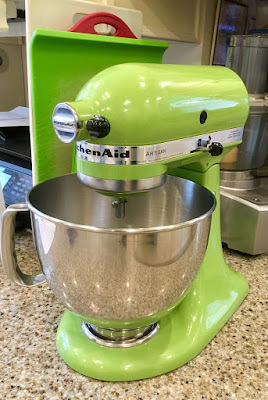 No kitchen is complete without a KitchenAid Mixer and it’s used daily for egg dishes, breads, cookies and more. We pride ourselves on serving the guests as much local and organic ingredients in our foods. We want guests to experience as much of what Asheville has to offer. Working for Williams-Sonoma as a Regional VP over 250 stores gave me access to a lot of stockrooms. This lime green KitchenAid was a special order for a customer who returned it. Luckily, I was there to purchase it that day and now it lives at the Inn! Having a glass front refrigerator is one way to make sure we keep our refrigerator clean and organized. Each shelf is labeled with what goes on it…Juices, Fruits and Jams, Cheeses and Dairy, Condiments, or Meats and Breads. 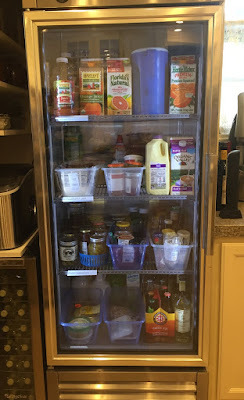 I’ve already decided that once our refrigerator at home needs to be replaced, we’ll be buying a commercial glass front refrigerator like this one. It’s amazing to be able to see what you have without opening the door and it looks great. I hope you enjoyed hearing about these 10 Most Talked about Items at Abbington Green. We hope that you’ll agree that they help make Abbington Green a special place for guests. We hope you come soon to see them for yourself. This is our home and we love sharing it with you! This is our 3rd year of partnering with Navitat Zipline Canopy Adventures. We are happy to be able to offer guests of Abbington Green a 10% discount to experience ziplining in the Western North Carolina Mountains. Navitat is located only 22 minutes north of Asheville. Last Monday, Steve and I had an amazing afternoon at Navitat. We chose the Moody Cove Adventure for our zipline, which has 10 ziplines, 2 sky bridges, 1 rappel out of a tree and a few short hikes in between. The whole adventure is about 3.5 hours. I want to commend Navitat on their excellent trained guides and overall attention to professionalism and safety. We had a fantastic time with our great guides Amy and Alex. Navitat's tag line is: " Thrill. Educate. Inspire. ", and that's what we experienced. Thrill: the tallest zipline is 200 feet high and the longest is 1100 feet--you go fast! Educate: during our hikes, Amy and Alex taught us about some of the plants, and even some of the medicinal properties associated with them. Inspire: the views are pretty inspirational and reminds me why we love living in Western North Carolina so much. 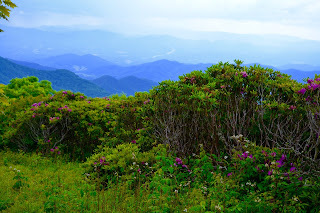 They also offer the Blue Ridge Experience, which opened in 2014. Three huge side-by-side racing ziplines from 1100 to 3600 feet long. It also includes a few short hikes and lasts about 2.5 hours. We look forward to going back and we'll definitely be trying that one next time. It was a fun afternoon ziplining and I know you will enjoy it just as much as we did. It is a great adventure to check it out the next time you're in Asheville. You can see our package deal with them on our "Package Deals" page: and for more information, check out Navitat's website. We look forward to continued partnership with Navitat, and to hearing about all of our guests' ziplining adventures! 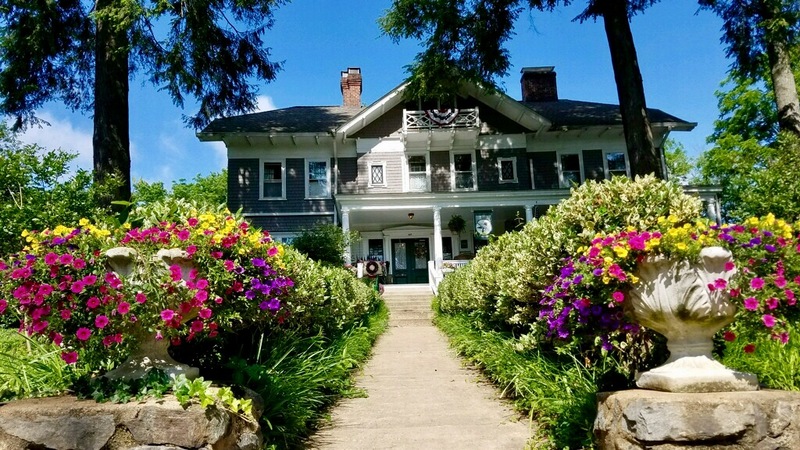 As I continue to live my dream as an Innkeeper, I find that I have the opportunity to meet many amazing people who begin as guests of the Inn. I’ve mentioned to you before that I believe that people come into our lives for many reasons. With that in mind, I find myself writing this blog with a heavy heart and sadness. I’d like to dedicate this installment of Nick’s Notes to three special repeat guests that have touched our lives and have unfortunately recently passed away. Cheri, Elaine, and Ed: you all touched my life in a way that I will always cherish. Cheri was one of my very first guests at the Inn, back in 2014, and has the record for staying at Abbington Green for 10 visits in 3 years. I’ve had the opportunity to meet many of her friends and her entire family during different visits. She referred to herself as the “Matriarch of the Inn”, and one of her sons even asked me one time: “..where’s the picture of my mom in the Inn, since she’s here all the time…” Cheri had many friends that she introduced to Abbington Green. I know why she had so many friends…she was one of the kindest people I’ve ever met and she was always happy and smiling. Her cancer came back last year and unfortunately this time she couldn’t beat it. I’m very happy that Cheri was a part of our Abbington Green family from the start, and she will be greatly missed. Elaine visited Abbington Green about a half a dozen times with her husband. During one visit they even rented the entire Inn and held their company board meeting in our dining room during the afternoons. That was probably the turning point where I felt not only our friendship grow but also their confidence in me to host an important event at this Inn as their company meeting. Elaine had a brain tumor, and as things started to worsen, her husband asked her where she would want to go visit and she said …Abbington Green. We had a wonderful time with them while they were here. Abbington Green was a place for Elaine to get away from it all, relax, and enjoy life. That’s how I’ll remember her…enjoying the moments with her husband at Abbington Green, and the amazing hugs she always gave me when she got here. I would like to thank Cheri, Elaine, Ed, and their families and friends for my great memories with each of them. These wonderful guests, I mean friends, that touched my life and make me so proud to be an Innkeeper at Abbington Green. They truly will not be forgotten. 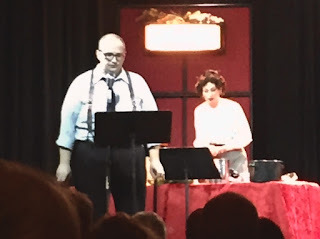 A few nights ago I went to see Strother, one of our associates, in a performance of "Live from WVI Radio Theatre, It's a Wonderful Life". Strother was amazing, and we are so proud of him! I know many of you have seen the Jimmy Stewart film version of "It's a Wonderful Life", and it has become an annual thing for Steve and me to watch it for the holidays. It always puts me in the Christmas mood and I still get a tear in my eyes in certain parts...and I do know many of the lines by heart. I really started thinking about some of the important lines from the movie and the big picture. The story is a reminder that through it all, each person impacts the lives of others in ways so simple, profound, and mysterious that sometimes it takes an angelic intervention to help us see the value of our existence. 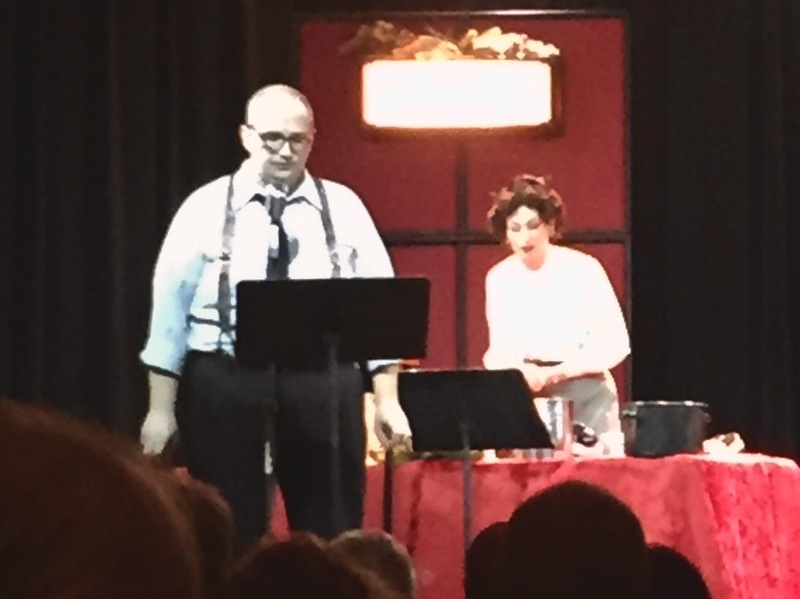 In this adaptation, the playwright wrote "...we live in a world full of change. Friendships grow or sometimes fall apart, jobs and fortunes are won and lost. 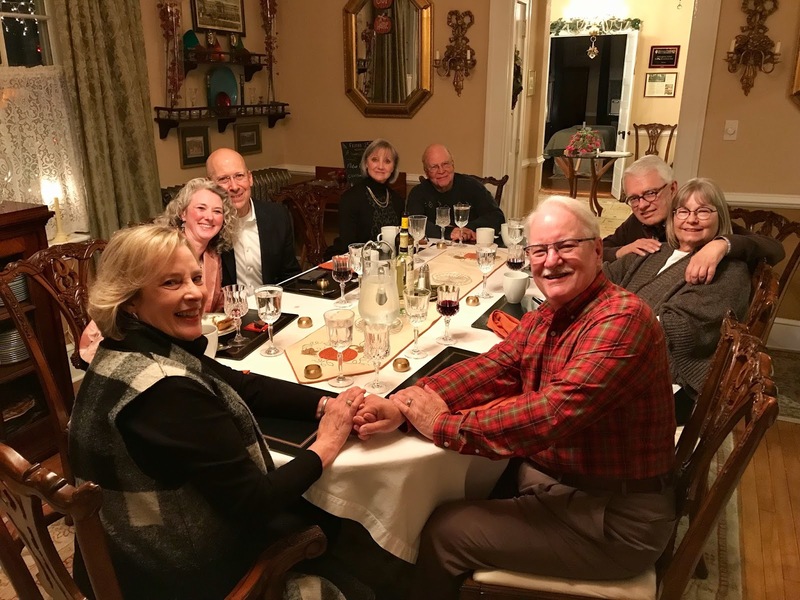 In the midst of a time of great upheaval in the life of our nation, I think this story has a wonderful message that is perfect for this holiday season..."
I was reminded about this all again last week over our annual Thanksgiving Dinner at Abbington Green with our guests. Perfect strangers to each other when they arrived, including four repeat guests visiting for the holiday. Over dinner, they bonded to the point that they passed a sheet around to get everyone's contact information, and four of them have already booked for Thanksgiving 2018 so that they can once again celebrate the holiday together. I always talk about how our repeat guests become part of our Abbington Green Family...and I love how our family continues to grow. I am so lucky to have the ability to meet so many people from all over the world. Some of them touch my life and I would like to believe that I touch their lives in someway as well. I want Abbington Green to be a special place for our guests, where they feel at home, their needs as a guest are exceeded, and they have a wonderful time and want to return. It's been 3 years and I have two couples that are on their 9th visit to Abbington Green. That's the biggest compliment for me and reminds me that I'm doing what I should be doing and I touch their lives in some way. I do have a wonderful life. Nick's Notes 7.28.17--Welcome to our Holland Park Suite! Welcome to our Holland Park Suite! As of August 1st, guests can begin to experience staying in our newly renovated Holland Park two bedroom and two bathroom suite. 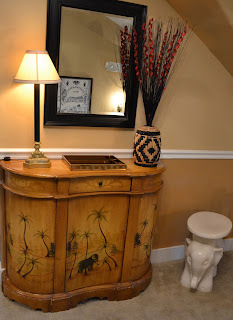 This is an exciting new addition to Abbington Green Bed & Breakfast Inn and Spa. We now have 2 two bedroom suites on the property for our guests to enjoy: Eaton Square and Holland Park. 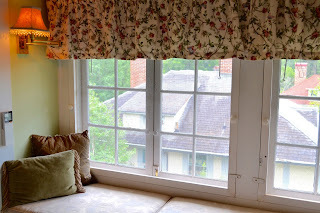 Before I tell you more about the suite, let me tell you more about the name, Holland Park. All of our rooms at Abbington Green are named after gardens and parks in Britain. Holland Park is a lovely and relaxing London park with formal borders and wilder areas. Included in the park is the immaculately kept Kyoto Garden which opened in 1991 to celebrate the Japanese festival. The gardens were created in the early 1800s by Lord Holland and cover some 50 acres. Our Holland Park Suite is reminiscent of these gardens with both Asian and British decor, and offer guests beautiful views from a private balcony terrace off of the Living Room at the front of Abbington Green Bed & Breakfast Inn. In the sitting room there is an open-plan seating area with comfortable chairs and dining area for four. 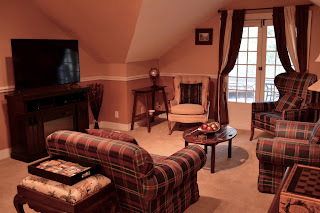 There is a 50" LED cable TV with Hi-Def and Blu-Ray/DVD player over the electric fireplace. The classic furnishings and chandeliers add ambiance to the British/Asian theme. 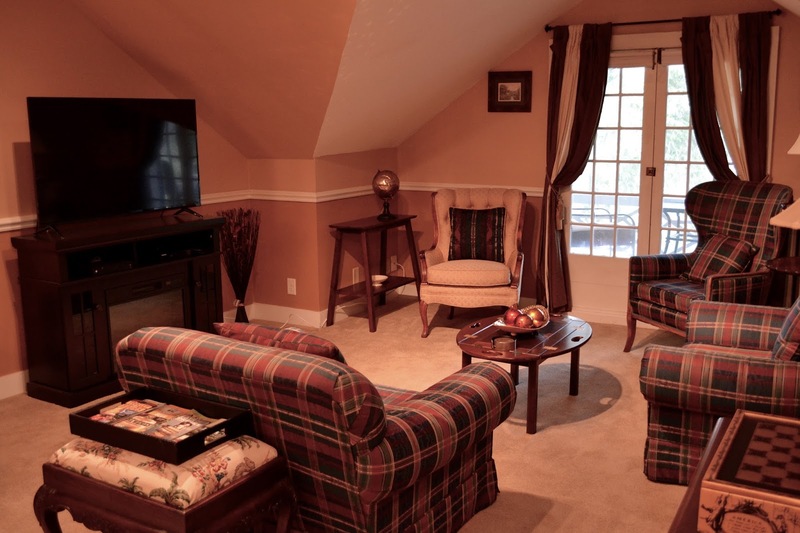 There is a private, 2-person balcony in the apex of the roofline overlooking the mountain ridge. The Green Bedroom represents the British theme and the Blue Bedroom represents the Asian theme. Both bedrooms feature king-size beds, individual climate controls, ceiling fans, seating areas, cable TV, charging stations, safes, robes, choice of pillows, and sound machines. 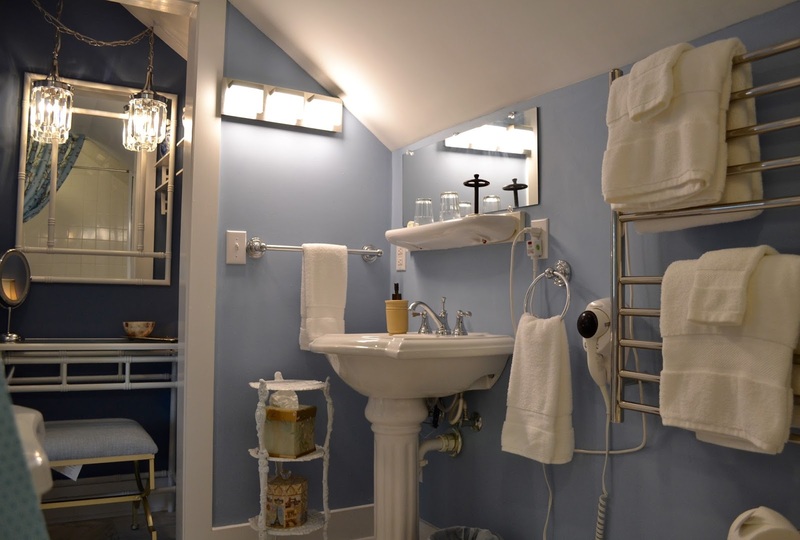 Both full bathrooms feature tubs with rain showers, heated towel bars, motion sensor lights, hair dryer, lighted make-up mirrors, pedestal sinks, and individual hot water heaters. Just like the rest of the Inn, all the water is specially filtered for your health and enjoyment. There is complimentary wireless, high speed internet access, and an iron and ironing board. 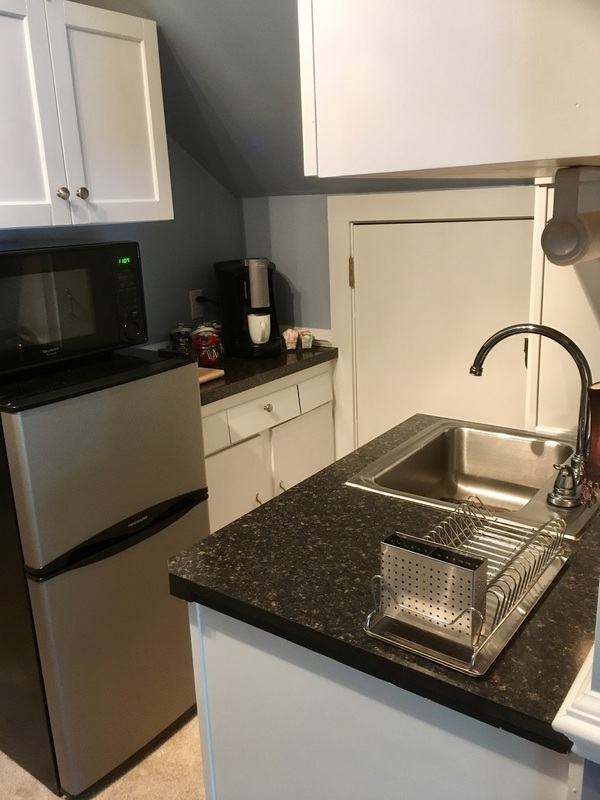 The suite also features a small efficiency kitchen with refrigerator, microwave, coffee/tea center, glassware, and dinnerware. 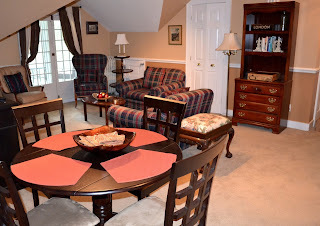 The Holland Park Suite is perfect for two friends traveling together who both want their own bedrooms but appreciate the availability of a common area to spend time together. 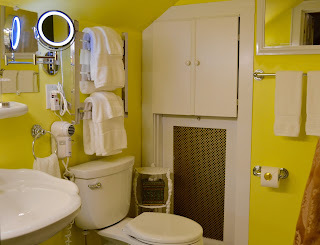 It will also work well for 2 couples, giving them privacy in their own bedrooms and own bathrooms. All the prices online are based on a 2 person occupancy, and when you book your reservation online at abbingtongreen.com, you can adjust the number of guests and the price will adjust accordingly for the additional people. 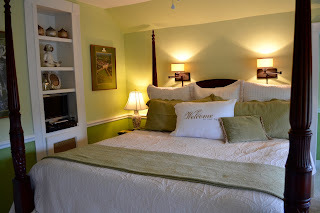 This week we've already had 2 guests find the suite online on our website and book their stay for August and November, and had a guest stay for a night to extend their time with us when we had a full Inn! I'm so excited by this new addition, and for being able to invite more guests to sample the 4 Diamond experience that Abbington Green is known for! Outdoor activities, food tours, brewery tours, the Biltmore Estate, Trolley Tours, waterfalls, the Blue Ridge Parkway, mountains, lakes, and so much more…there’s always something fun to do in Asheville and that’s why so many travelers come to visit our great city. On average 29,800 people visit Asheville each day. In 2016, Asheville attracted 10.9 million visitors and continues to be named on Top 10 lists of why to come visit Asheville. 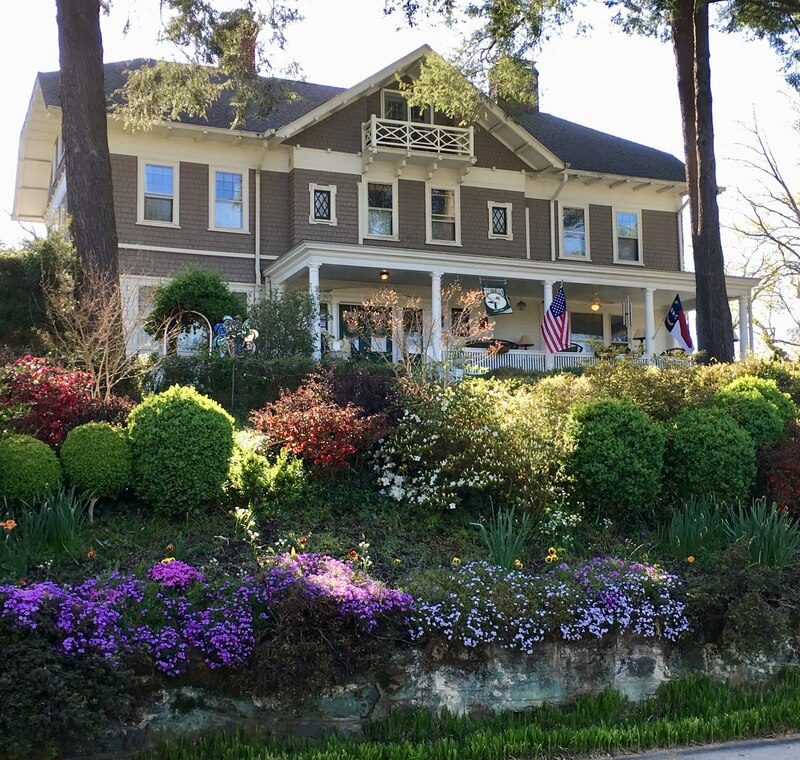 Our guests at Abbington Green spend their days out and about doing all the fun things mentioned above that Asheville has to offer. Many of them spend their mornings or evenings before our 5pm Social Hour relaxing on one of our many porches and walking our gardens on the property…and they provide a nice reminder to take the time to relax, slow down, enjoy nature and see the beauty that surrounds us. Carey and I felt it was important to create a guided walking tour of the Gardens at Abbington Green, so we revised our website to reflect their beauty and now included in each guest room’s information folder we’ve included a copy of the garden walk that you can take with you to walk through the property. Starting at the front porch and winding your way through to the back garden, guests will see and learn about what we have growing, the style used to create the garden, and also the 4 fountains we have on the property. The gardens at Abbington Green surround the house as a series of authentic English garden “rooms”, each with a different theme. The Shade Garden is an informal space located beside the front porch. Guests will notice the St. Bernard fountain at the front of the porch placed there in memory of our dog Bailey, who was an amazing Pet Therapy Dog for 6 of her 12 year life. 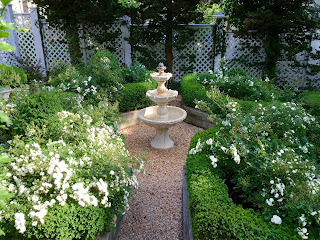 The Chartreuse Garden is a small formal space surrounded by trellis fences. It is named for the variety of yellow foliage, variegated foliage, and yellow and white flowers in this garden. Also included is a pineapple fountain planted with Water Iris and a Garden Fairy given to us by a guest to attract good fortune to our gardens and home. The Vegetable Garden is tended to and planned out by Steve every year. 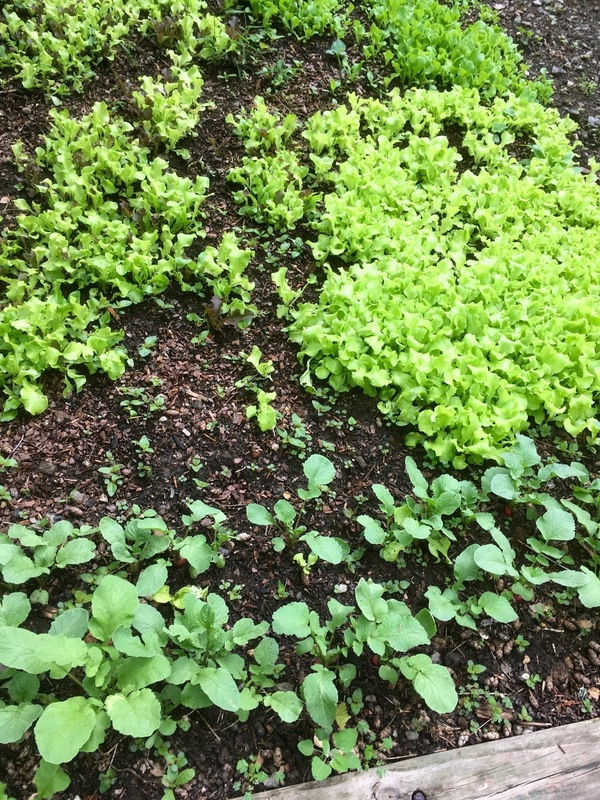 During the Winter season ahead of planting, Steve combs through the seed catalogs to find what he’ll plant in the Vegetable Garden. 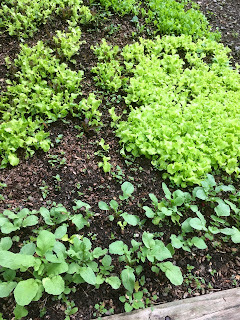 Tomatoes, asparagus, radishes, a variety of lettuce, carrots, spinach, peppers, and cucumbers are commonly grown in this garden. We love having fresh, homegrown produce to use in our breakfasts and 5pm Social Hour offerings such as Steve’s Mom’s recipe for Bread and Butter Pickles. The White Rose Garden’s floral color scheme is pink and white throughout. 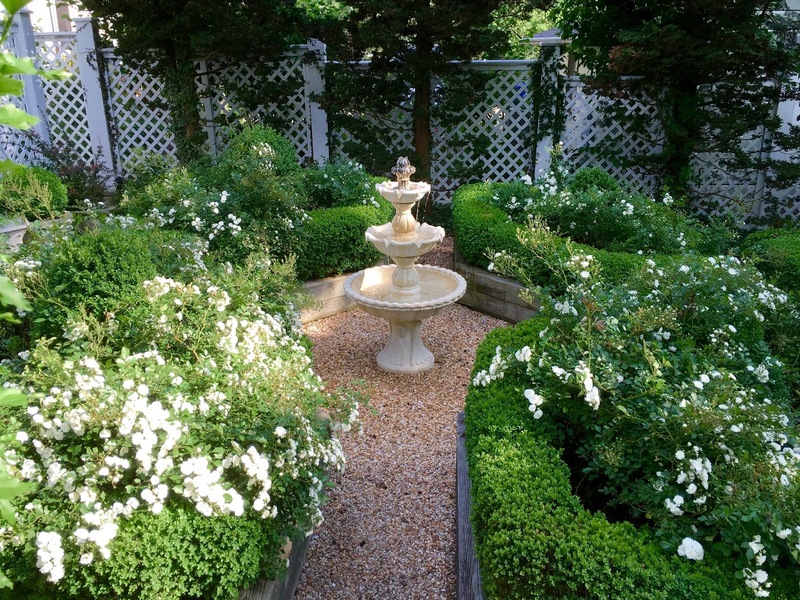 A tiered fountain at at the center adds soothing sounds to this space much of the year. 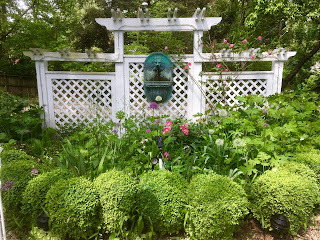 Mom’s Rose Garden is planted with pink shrub roses, pink and white peonies, many perennials, and is interplanted with annuals for constant color from Spring to Fall. In addition, four cherub musician statues represent fictional angels of love to symbolize the love a mother has for her children and the love we have for our mothers. Here, in the beauty of this garden, they come together to honor our Moms. The Oriental Garden has a Chinese and Japanese influence including two small statues of Foo Dogs to greet you and decorative pagodas and an Asian lion statue. Guests can easily find the 4 Chinese stepping stones which represent the Four Seasons, as well as a small statue of Buddha. 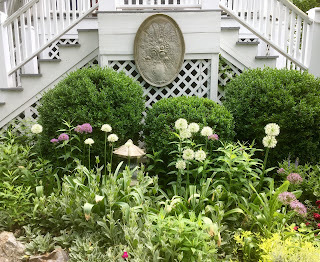 The Lower Garden can be seen from ground level well as from the porches and decks of both the Main House and the Carriage House at Abbington Green. Laid out as a central “wheel” pattern of radiating pea gravel paths lined with over 180 boxwoods with benches to rest at each end point. In the center stands an antique gazebo that Nick found at a local antique store and the team here at the Inn restored. 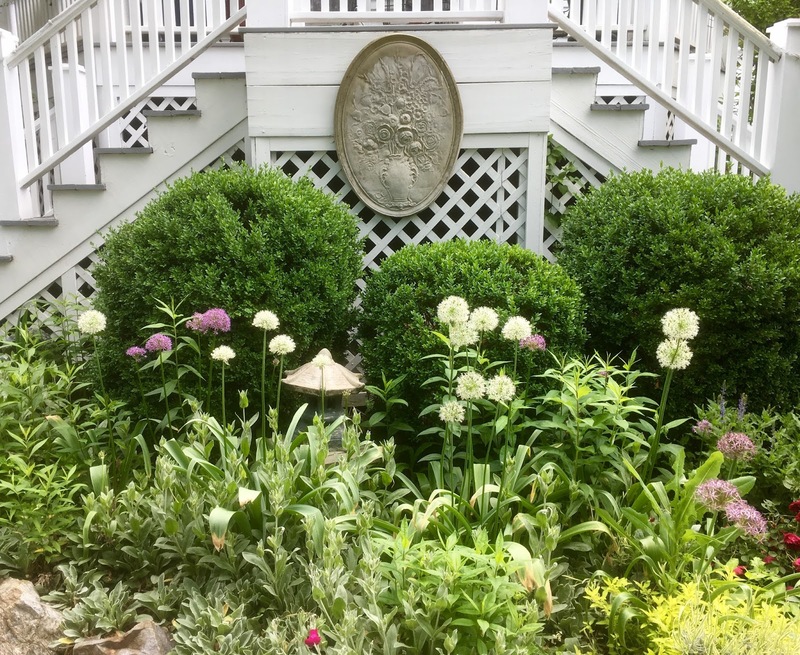 Each “pie slice” shaped bed is planted with one primary type of plant for a beautiful effect, and at the very back of this garden is a trellis adorned with a lion head fountain flanked by climbing roses. In 2015, the gardens became a Certified Wildlife Habitat. We use no chemicals nor pesticides in maintaining the gardens, in an effort to create a safe environment for our wildlife friends and also our guests. 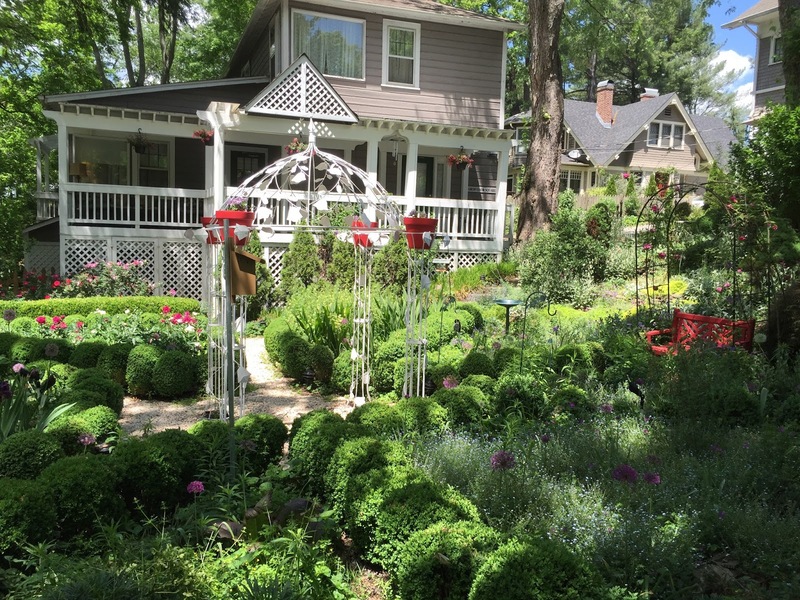 Valerie, the original owner at Abbington Green, created these award-winning gardens, and our Steve continues to bring out their beauty in the Spring, Summer, and Fall. We hope the next time you come to visit us you take the tour, and the time to enjoy the gardens at Abbington Green. Time to relax…stop, and smell the roses.